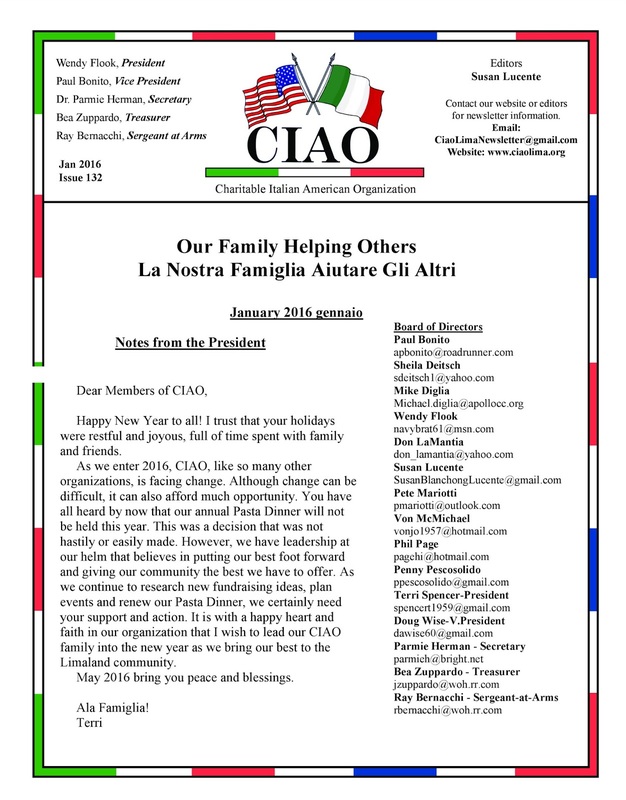 directors to make, but it was an unfortunate necessity in order to make sure that CIAO continues to uphold the quality dinner that the Lima community has loved and supported for nearly 30 years. Plans are already in motion for the next dinner on Palm Sunday of 2017, the Civic Center is booked and CIAO is committed to making it happen. Thank you to everyone who has been so supportive of our efforts and continues to work hard for us. 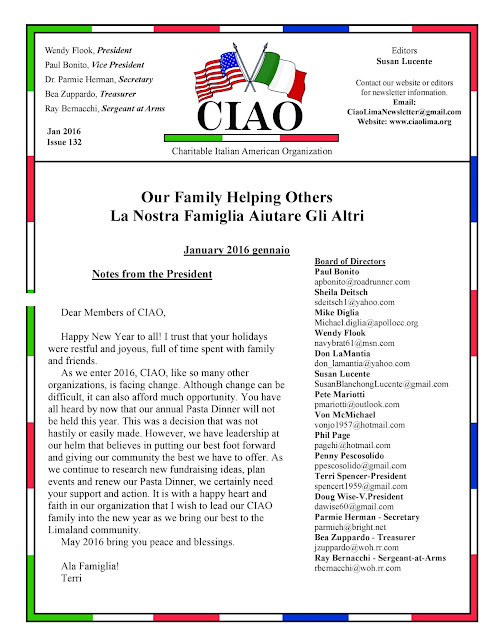 You make it possible for CIAO to provide scholarships to so many deserving local students and for CIAO to make donations to a great number of local worthy causes. We will need your support and energy even more in the upcoming year. Please help us build up our membership by talking to your friends and family about who we are and what we do and encourage them to join us. If you're not already involved in any of our committees, please think about how you can share your time and talents with us.